Does God really have some special people whom He punishes anyone who dares say anything against them? Let’s just touch on some key issues you have raised. First, no Christian should be getting involved in criticizing other people – I am talking about running other people down, throwing personal attacks, questioning their motives, and quite frankly engaging in destructive communication. Doing this to a fellow Christian is doubly wrong. It’s not necessary. It is unwise. If you have doubts about a pastor or minister – don’t go to his church or watch his programmes on TV. If you spot a wrong teaching – correct it. Leave who taught it alone. Christians should never join movements to take down fellow Christians. It’s devilish. Leave other people alone and do what Jesus sent you. Personally, I have some famous preachers that I am not comfortable with their aurora or their teaching. I have found it impossible to connect with them. What do I do? I just leave them alone and move on. That, I think is the best thing to do. Come to think of it, I have noticed two things. Nobody hates his own pastor or criticizes his own pastor. Most people love their own pastor, worst case, they like their pastor. What people do is to attack other people’s pastors. It’s so unfair. It profits nobody. The second point: Nobody is anointed to destroy a fellow Christian. Nobody is anointed to kill another human being. The second story – Jesus sent his disciples into a village and they were rejected. His disciples suggested that they command fire like Elijah did to consume the village. “But he turned, and rebuked them, and said, Ye know not what manner of spirit ye are of. For the Son of man is not come to destroy men’s lives, but to save them. And they went to another village. Luke 9:51 – 56 has the full story. Does God elevate one Christian over another? As heartbreaking as it may be to those trafficking in the notion of being special, the truth of the gospel of Jesus Christ does not elevate one Christian above another. Jesus called and sent everybody who comes to Him, not just his apostles. The 11 disciples are long since gone to be with the LORD but the Commission is still in force. 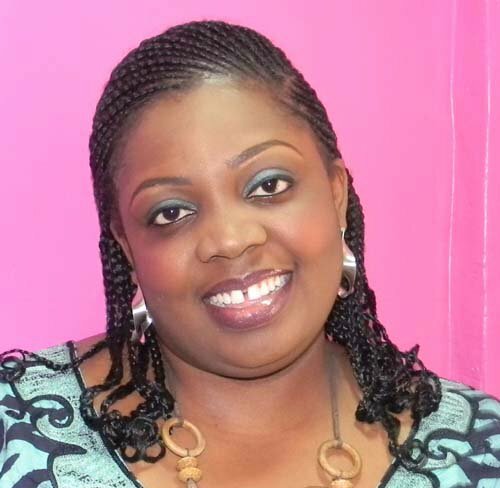 Aziza Uko is a Communications Professional, Marketing Strategist, Writer, Reader, Music Lover, and a Christ Follower. She is Editor-at-Large for Y! Magazine and YNaija.com. She blogs at www.azizauko.blogspot.com and tweets @azizauko. Fear no one but God; respect everyone, both horizontally and vertically, every single human being has a piece of God in him/her, everyone deserves respect. The perfect pastor preaches exactly 10 minutes. He condemns sin roundly but never hurts anyone’s feelings. He works from 8am until midnight and is also the church janitor. buys good books, and donates $30 a week to the church. He is 29 years old and has 40 years experience. Above all, he is handsome. and he spends most of his time with the senior citizens. that keeps him seriously dedicated to his church. and is always in his office to be handy when needed. The perfect pastor always has time for church council and all of its committees. and is always busy evangelizing the unchurched. The perfect pastor is always in the next church over! simply send this notice to six other churches that are tired of their pastor, too. Then bundle up your pastor and send him to the church at the top of the list. If everyone co-operates, in one week you will receive 1,643 pastors. One of them should be perfect!